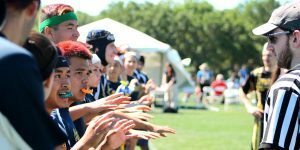 Want to volunteer at US Quidditch Cup 12? The sign-up form is now available! Fill out the sign-up form here! Head referee, lead assistant, snitch runner, and more. 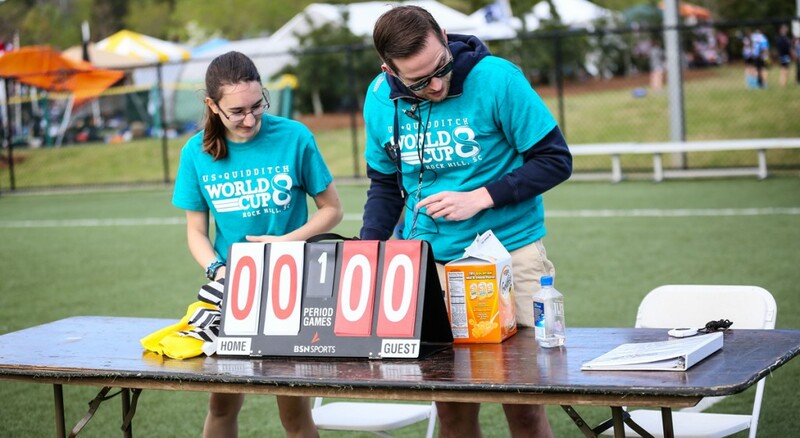 If you have questions about general volunteer things, email eventvolunteers@usquidditch.org. 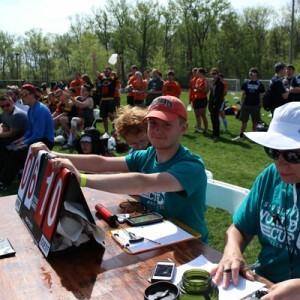 If you have questions specifically about officials, email membership@usquidditch.org. You can also get updates on this special Facebook event for players, officials, and volunteers. Upon completion of the sign-up form, you should expect an automated confirmation email. If you do not receive such an email, please re-submit this form. Please also note that a few roles (such as color commentator, feature writer, etc.) will require additional follow-up from US Quidditch staff. 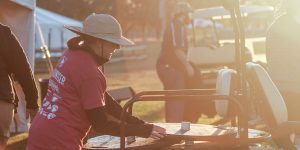 Volunteers will be contacted by event staff to confirm your availability and your specific volunteer assignment starting around February 2019. General gameplay volunteers will serve as assistants for the gameplay staff team. Tasks may include, but are not limited to, retrieving scorecards, assisting in scorecard management, helping to post scores, and more. Gameplay volunteers must have a good knowledge of the sport of quidditch and be mobile and flexible throughout their shifts. 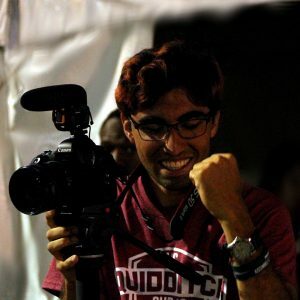 This role is essential to running the competition onsite, and you will get a behind-the-scenes look into the gameplay operations of the event. Guest services volunteers will be a resource for guests on-site at the guest services tent: answering questions about quidditch and the event, providing directions, helping with lost and found, etc. If you have good customer service skills, this position will be good for you. 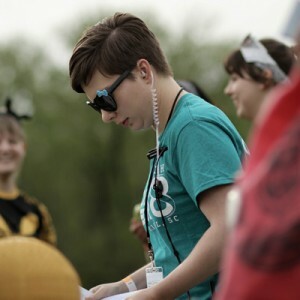 Youth quidditch volunteers will be assisting with the youth quidditch pitch: teaching the kids (and adults!) all about how to play quidditch, setting up scrimmages, showing them drills, etc. A certain degree of flexibility is required; your main goal is to make sure the children have a safe and fun time. If you like to work with children, have patience, and have familiarity with the rules of quidditch, this position will be good for you. Please note that you may need to play on the pitch with the children, so a reasonable degree of athleticism is necessary for this position. Children’s activities volunteers will lead crafts and engage with children through additional activities. These volunteers will also be expected to explain the basic rules of quidditch, and assist with waivers for the youth quidditch pitch. If you enjoy working with children, this position will be good for you. 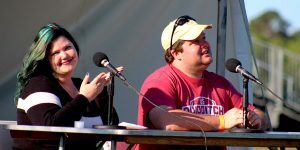 Color announcer volunteers watch and comment at assigned games focusing on humor and spectator engagement. If you have a strong sense of comedic timing, have family-friendly improv experience, and can think on your feet, this position will be good for you. 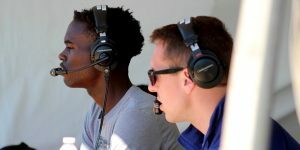 Play-by-play announcer volunteers watch and comment on assigned games focusing on the gameplay aspects of the match. If you can follow quidditch games easily and explain the action well, this position will be good for you. Merchandise sales volunteers will assist event staff with the USQ merchandise booth. They will help organize inventory, explain and showcase offerings to customers, and do other things to assist event staff with the selling of merchandise. Event staff will be handling point-of-sale transactions including cards and all cash. If you have good customer service skills, this position will be good for you. Experience in sales is a bonus! Team services volunteers will be a resource for teams on-site: answering player questions, directing teams to where they need to be, etc. If you have good customer service skills and are familiar with quidditch, this position will be good for you. Ticketing volunteers will be posted at the entrance of the facility in order to check that guests have their tickets to gain entrance to the park, as well as to sell tickets to guests who have yet to purchase them. VIP services volunteers will be working directly with our VIP guests, including answering questions, managing admission to the VIP area, and helping to provide a great onsite experience for our valued guests. Runners are the go-to volunteers on site at the event. They will be responsible for running replacement equipment to a field in an emergency, refilling water, and taking care of any other quick fixes that may come up. Runners must be able to walk/run quickly, carry potentially heavy objects, and be willing to help in any way possible. Security volunteers will be responsible for ensuring the security of restricted areas throughout the weekend by manning the entrances to those areas. If you are assertive and willing/able to act as a bouncer for the tournament planning staff, this position will be good for you. Set-up volunteers will assist the tournament staff in getting the tournament set up and ready to go for the weekend on Friday, April 12 and/or preparing the fields and hospitality areas on the event dates. You must be available during the day on Friday, April 12 or early morning on the days of the event to be a set-up volunteer. Tear-down volunteers will assist the tournament staff in breaking down the tournament site on Monday, April 15 and/or breaking down the fields and hospitality areas on the event dates. You must be available during the day on Monday, April 15 or at the conclusion of gameplay on the days of the event to be a tear-down volunteer. Generate feature articles during the event. Interview players, coaches, captains, volunteers, and other key stakeholders. If you have strong writing skills, this position will be good for you. Assist in preparing articles for publication. If you have a strong grasp of the English language, enjoying editing both for SPaG and flow, and have good attention to detail, this position will be good for you. Take high quality pictures during the event. If you have previous experience shooting quidditch or other sports, this position will be good for you. 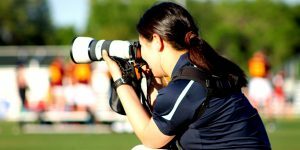 Please note that you will be asked to provide 10 samples of action shot photographs, with a preference for quidditch action photography samples. You will also be required to provide your own camera gear and equipment. General marketing volunteers will be responsible for updating content on USQ’s social media outlets during the event and providing additional support to the marketing team as needed. If you have previous experience taking photos for and engaging through social media, this position will be good for you. Press services volunteers will assist USQ staff members with press and media relations, including helping with credentials, answering general questions, and assisting the media in finding the locations they are covering. If you have previous experience with public relations and communications, this position will be good for you. The head referee is responsible for the safety of the players, spectators, and referees of the game, while also ensuring that the game is run fairly. The head referee must be able to keep control of their referee team, as well as the players on and off the field. They must be able to make quick and authoritative decisions in accordance with USQ Rulebook 12. Head referees must be fully certified by US Quidditch at the head referee level. The lead assistant referee supervises the assistant referees. They (along with the other assistant referees) are responsible for off-quaffle play, including but not limited to: Bludgers and beater play, Chaser and keeper interaction away from the quaffle, and other situations outside of the view of the head referee (damaged equipment, downed players, etc.). Lead assistant referees must be fully certified by US Quidditch at the lead assistant referee level or higher. The snitch referee’s main responsibility is to support and assist the head referee in officiating the game, with particular attention to the snitch/seeker game. Snitch referees must be fully certified by US Quidditch at the snitch referee level or higher. The assistant referee’s main responsibility is to support and assist the head referee in officiating the game, with particular attention to the beater/bludger game. Assistant referees must be fully certified by US Quidditch at the assistant referee level or higher. The job of the snitch is to keep the snitch tail safe from the grasp of each team’s seeker. Snitching can be the most exciting position on a quidditch pitch, but it can also be the most difficult. Snitch runners do not have to be fully certified for US Quidditch Cup, but USQ will strongly favor certified snitches for all games. Additionally, all snitch runners have to sign up for free snitch runner membership on the USQ website, and we strongly encourage them to take and pass the written snitch runner exam. Field Managers are vital to the tournament running smoothly throughout the weekend. They are responsible for checking that their field is fully staffed and running on time according to the schedule. They are the eyes and ears of event staff and are also responsible for relaying real-time information to staff. Field managers must be NON-PLAYING volunteers. They are extremely well-organized and are capable of doing what it takes to keep their field running on time. Preference will be given to volunteers who are volunteering at least six hours over the course of the weekend. Volunteer check-in volunteers will assist with volunteer registration in the morning, as well as throughout the day. They’ll ensure that all volunteers have the materials they need for their volunteer position(s), and know when and where they are to report throughout the day. The floater is very similar to the logistics runner position, except that floater volunteers can also potentially fill in for missing volunteers in other volunteer roles. Otherwise, floater volunteers will work with the runner volunteers to help take care of any immediate needs of the tournament. Floaters must be able to walk/run quickly, carry potentially heavy objects, and willing to help in any way possible. Photos by Nikki Smith, Chris Rothery, and Sana Sadiq. Photos at the top by (left to right): Row 1, Madison Vaughn, Chris Rothery, and Madison Vaughn. Row 2, Nikki Smith, Chris Rothery, Chris Rothery. Row 3, Michael Nicoletti.